Trading Forex: What is Influencing GBP/USD? As one of the oldest currency parings around, GBP/USD, also known as ‘The Cable’, is an extremely popular option for forex traders worldwide. 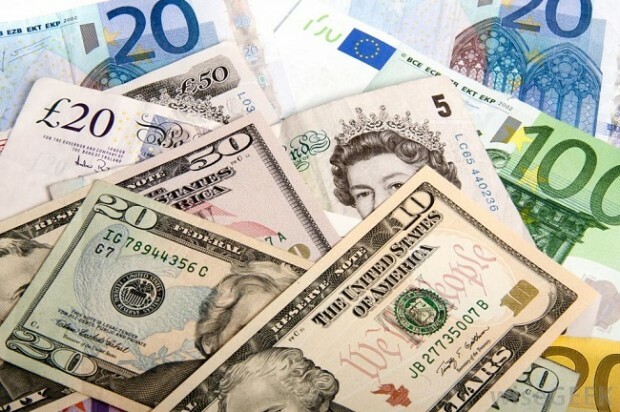 With the exchange rate fluctuating daily, and Britain and America’s respective economies representing two of the largest in the world, this short article will take a look at some of the factors which currently influence the currency pairing. Some time has passed since Britain shocked the world by voting to leave the EU back in 2016. In the immediate aftermath, the pound plummeted sharply, sending shockwaves through the UK forex market. Since then the currency has recovered, but the looming exit date in 2019 still hangs over the economy. Therefore, there is much uncertainty as to the future of the pound, which has been on a downward spiral against the dollar for a number of years now. Brexit has thrown a spanner into the British economy, with many economists having predicted that it will cause more harm than good. The presidential elections in the US, which saw wildcard Donald Trump win over favourite Hilary Clinton, was another shock result which is still affecting the economy. The dollar, like the pound, fell sharply after the news came in, but has since rebounded, in part due to Trump’s pro-business stance. As a wildcard, however, he is still seen as unpredictable and potentially volatile, and as a result there is also a sense of uncertainty over the future of the US economy. It is also worth noting that he has promised a trade deal with the UK after Brexit, which could strengthen the GBP/USD exchange rate depending on the exact terms. Theresa May’s decision to call a snap election in the UK served to strengthen the pound’s position against the dollar, as it was predicted that the Conservatives would win a far larger majority than in the 2015 general election. This would potentially give them a stronger position in negotiating Brexit terms, although this does not necessarily mean they would secure a better deal. Their predicted landslide, however, has been challenged by a sudden surge in Labour’s popularity in the polls, who have been steadily gaining on them in recent weeks. The closer the result, the greater the potential volatility in the pound, as it will become uncertain how Brexit negotiations will ultimately play out. Recently released US employment data has turned out to be disappointing, with the labour market has lost some of its momentum. US nonfarm payrolls were predicted to rise by 185,000 in May, but in reality only rose by 135,000. This will most likely add to the overall uncertainty in the economy, and put the dollar on a a far slower economic trajectory in the near future. GBP/USD will always be a currency pairing which people keep an eye out for, and in such uncertain times it makes sense that investors are approaching it with caution. With many more upcoming events likely to affect the exchange rate, continued volatility is highly likely.